Take a look at the best free and fun Android games on offer right now. We’ve rounded up the ones we love and think you should check out too. 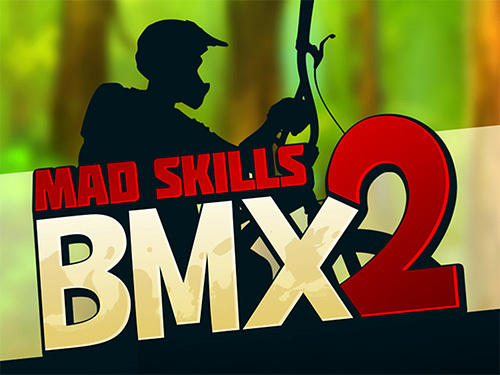 Mad Skills BMX 2 is a racing game where the player will race against their opponents on race tracks filled with obstacles like ramps and bumps. This is an action packed, fast paced game and once the race has progressed quite far the scenery will whizz by in a blur in an attempt to make it first to the chequered flag. This is an arcade type game and takes some skill and finger control. Spaceteam is a multiplayer game where players have to work as part of a team. There are between two and eight players connected at a time. The spaceship is trying to get away from an exploding star and players must do all sorts of things to rescue the spaceship from being destroyed. Sounds easy enough, but the developers have designed the game in such a way that the controls are spread across all of the player’s screens and will appear as text-based prompts. It is an exciting game. HeliHopper is a game that involves a helicopter, lots of hopping and unfortunately lots of crashing. The objective of the game is achieved by using a type of slingshot mechanism to find a landing pad for the helicopter. There are different levels in the game and each level brings with it different options for landing. There are nine different modes and various missions for the HeliHopper. Typeshift is for the puzzle fans or those who like the thrills of games like pokies online. The puzzles have columns of letters that have to be moved up and down with the objective of making a word in a central row. The letters will change colour once the word is made. In order to finish the puzzle all the letters must change colour. This game has a relaxed pace but there are also crossword type puzzles which are a bit more complex and players will need to match clues to words. Typeshift offers daily puzzles. Aquavias is a puzzle game. In this game the player is a plumber and has to stop the city from succumbing to a drought. The plumber has to build aqueducts that connect the various cities to reservoirs to supply buildings like the Amphitheatre and Hanging Gardens with water. This does not prove to be an easy task, but the aqueducts are the key to saving the city. Players will have to overcome various obstacles to get water to the buildings. Calculator: The Game is a number puzzle game featuring sums and a rather sarcastic calculator. There are different levels and the aim for each level is quite easy. Players must make use of the buttons provided to reach a particular number within a certain number of steps. The aim of Topsoil is to grow plants and work in the garden. The aim of the game is to harvest plants before the garden gets full. Points are earned for the amount of plants that are harvested at the same time. If the garden fills up before the next harvest the game will end. Players will discover new seeds, trees and birds as the game progresses.